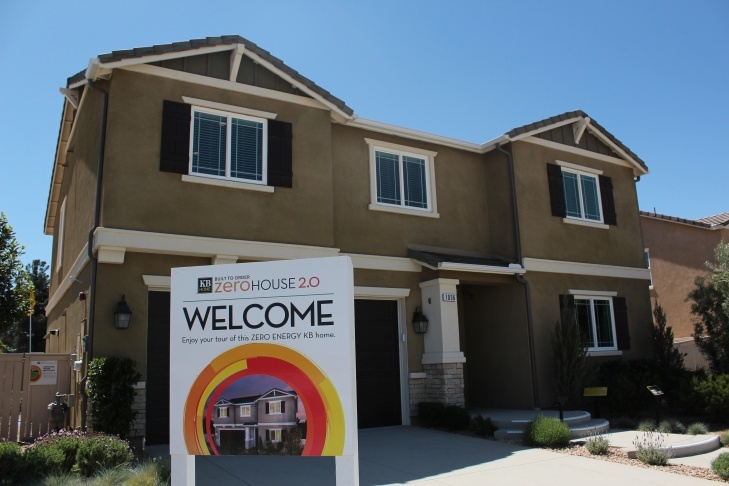 California-based megabuilder KB Home has invested in greywater technology, demonstrating it at a model home in Lancaster, and selling homes in San Diego County that can recycle water on site. At a KB model home in Lancaster, once-soapy and dirty water from showers and laundry filter into a Nexus eWater reservoir tank in the ground, where it can be used for yard irrigation or toilet flushing. One Nexus eWater system can cost $8,000-$10,000 to install, so even home builders adopting the technology say wider acceptance won't come overnight. 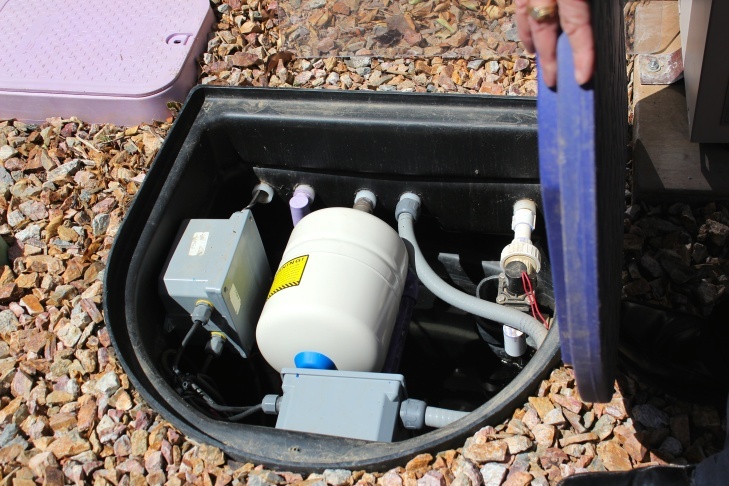 Inside an anonymous grey box, a Nexus eWater system runs grey water through bubbles, 2 filters and a zap of ultraviolet light to render it clean enough to use inside, in flushing toilets, or outside, in landscaping. Graywater, the recycled water collected from your sink, shower or washing machine, is becoming increasingly popular with California’s building industry. By selling new homes with built-in systems for reusing water, developers may propel the practice into the mainstream. An Australian company, Nexus eWater, is positioned to be a key part of the transition. The company’s home graywater recycling system is the only one that has passed a key certification permitting the water it cleans to be used in toilets and on lawns under California’s building code. The system sends dirty water gathered in a tank under a house through bubbles, filters and a zap of ultraviolet light. Megabuilder KB Home has placed Nexus systems at 52 brand new homes at Sea Cliff, a San Diego County development. The company won’t disclose how many have sold, though sales representatives say interest is strong. 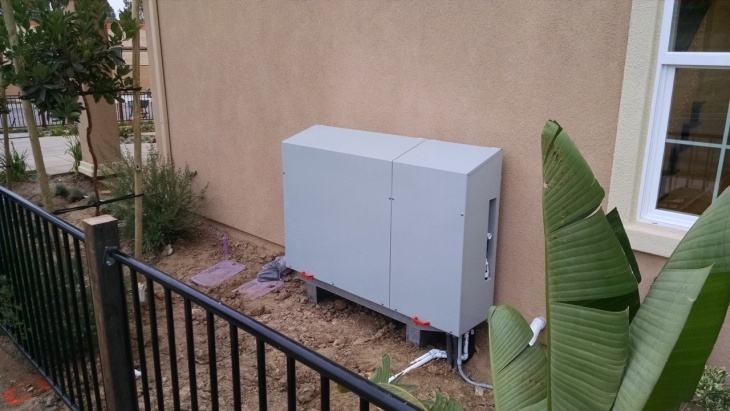 The Nexus graywater system has also been installed at KB model homes in Lancaster and Northern California. 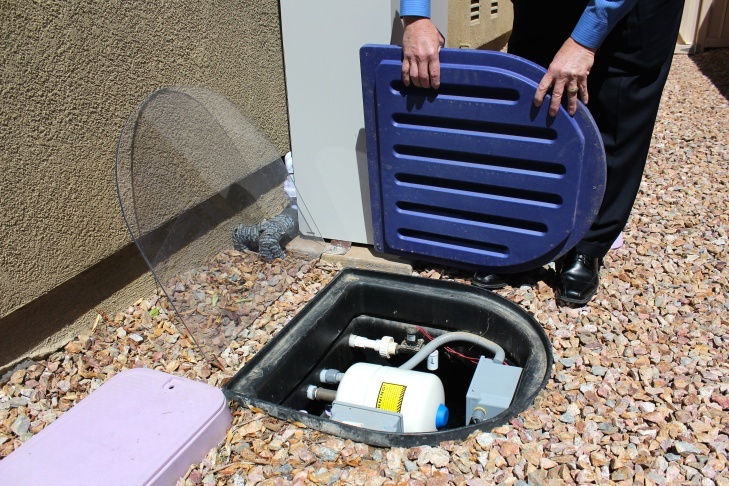 Under a pilot partnership with the Metropolitan Water District, KB will analyze wider feasibility for in-home graywater systems, collecting water use data from new homeowners. Each system costs between $8,000 and $10,000, an investment that can add $40 or $50 to a monthly mortgage payment. As a result, Ruffner says graywater’s nowhere near standard. The move marks a significant change in the way Californians are embracing the use of graywater. A decade ago, recycling water at home was illegal in the state. But since last year, officials have predicted a future where the surest water supplies are close by, and that's given graywater a boost. 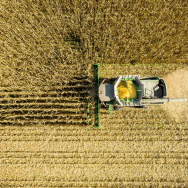 “This is part of the transition to more localized water supply, just as we’re making a transition to more localized energy supply in the state,” said Max Gomberg, a climate change mitigation strategist at the State Water Resources Control Board. As with solar, builders say public policies can make the adoption of new technology easier. In Los Angeles, Mayor Eric Garcetti has set a goal to get more water from local sources. But drains at most homes run straight to the sewer system, and L.A,’s building and safety department says it’s seeing few applications for complex retrofits. So officials are proposing to make all new homes in L.A. ready for graywater in the future. The chief of green building at L.A.’s Department of Building and Safety, Osama Younan, stresses that there will be limits. KB Home may be the first major builder to explore graywater, but it’s not likely to be alone for long. At the annual Pacific Coast Building Conference, over 10,000 builders and developers sought new ideas for new homes; this year, they crowded around the Nexus eWater booth. Nexus eWater co-founder Ralph Petroff said KB Homes’ interest grew quickly, “moving at the speed of drought,” as he puts it. 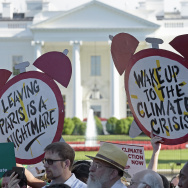 “From a cocktail napkin discussion, to applying for permits, to getting permits granted, to turning earth, to having first installations, was less than 60 days,” he added. Builders say built-in graywater appeals to most Californians because it’s the easiest way for the lazy majority of us to recycle water. Still, even if people can’t or won’t build their own systems, we’re still going to have to pay for them.